As we all know the genius is very dangerous. It can be a tool to achieve something great and helpful. But it can also be a curse causing damage to everyone around. Maestro: Notes of Life Collector's Edition is related to the latter. You are to stand against a young prodigy and his evil plans in this hidden object puzle adventure game. The game features bonus gameplay as it is the collector's edition. There is a deadly dangerous music that lured away a missing girl. You are the one to go and save the girl and find the source of that music. It's a moving but sad story told with beautiful scenes and locations. The game features bonus gameplay as it is the collector's edition. The basic tasks for you here are typical to this genre. You will have to do a lot of walking around the locations and trying to find all the active areas and the inventory hidden in there. They you move on and use all the inventory to proceed. 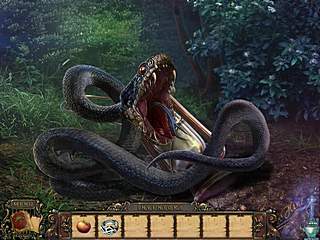 You will also have to complete a number of hidden object scenes. Those are very well worked out levels. The items are all relevant to the story and a location. You play in a classic way here from a list of words given to you. Then there are also different mini-games to play. Those puzzles are all tied to the general story and are fun to play for a change.As to the visuals, they are totally beautiful and gorgeous with many items to fill the locaton that you will visit here. 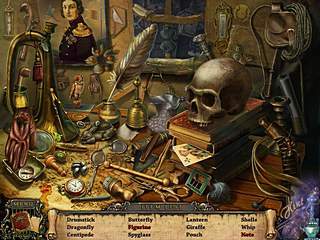 All in all the game is really enjoyable to play if you are a hidden object puzzle adventure genre fun. This is Maestro: Notes of Life Collector's Edition review. Download this game here.